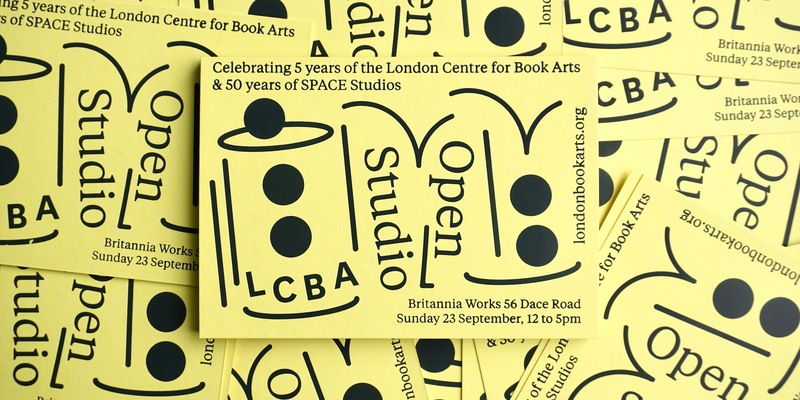 Join us for an Open Studio on Sunday 23 September 12—5pm to celebrate five years of the London Centre for Book Arts, and 50 years of SPACE Studios. Come have a look at our brand-new shop front designed by our friends Studio Bergini. 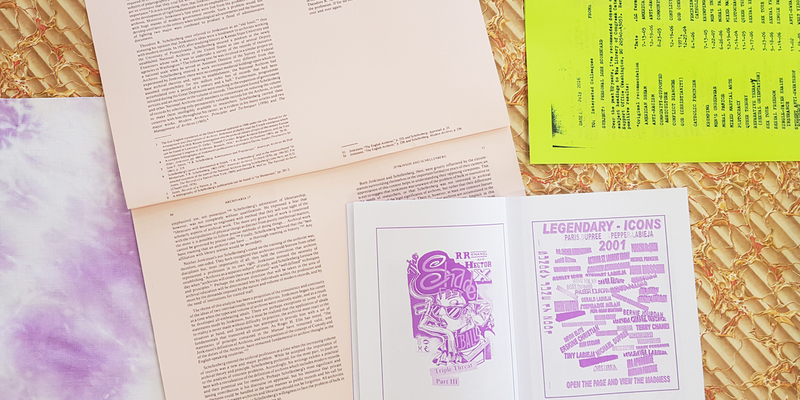 Events and demonstrations throughout the day including a special book launch for Crayonograph by LCBA residency artist Abbie Freeman in collaboration with Fraser Muggeridge studio from 3–5pm. FREE to attend but RSVP recommended. Don’t miss it! Hackney Wick. We’ve got a full calendar of upcoming workshops including Introduction to Publishing Practices & Introduction to Risograph Printing. 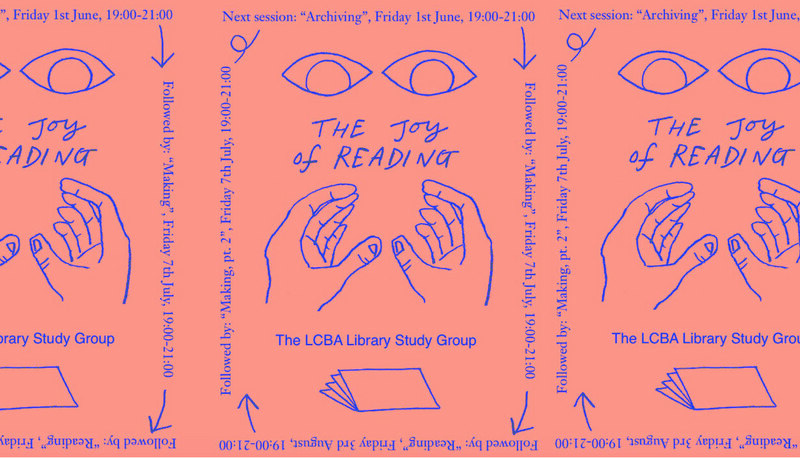 The next session of Library Study Group: The Joy of Reading is Fri 7 Sept. Held every month at the new LCBA library, the study group is free to join and open to all those interested in publishing, print and book production. 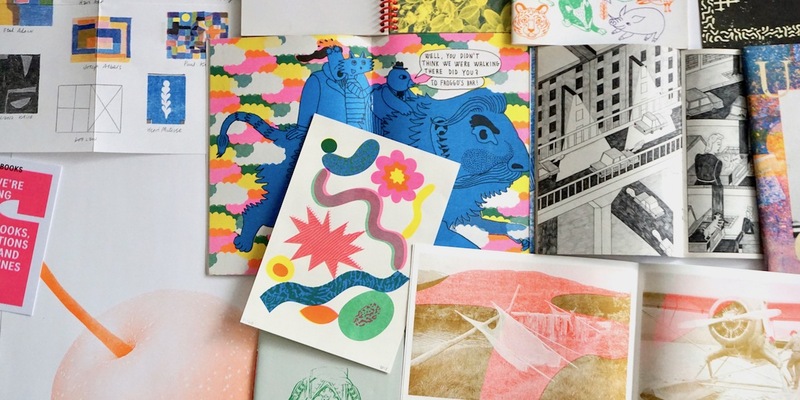 Organised by artists/publishers (& LCBA studio members) Esther McManus and Sam Whetton. Free to join but booking is encouraged. 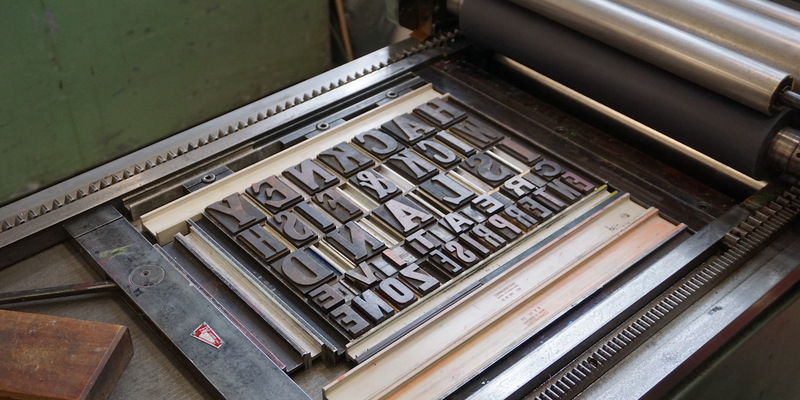 Join us at the LCBA studio for a one-day Introduction to Letterpress Printing on Sunday 9 September. 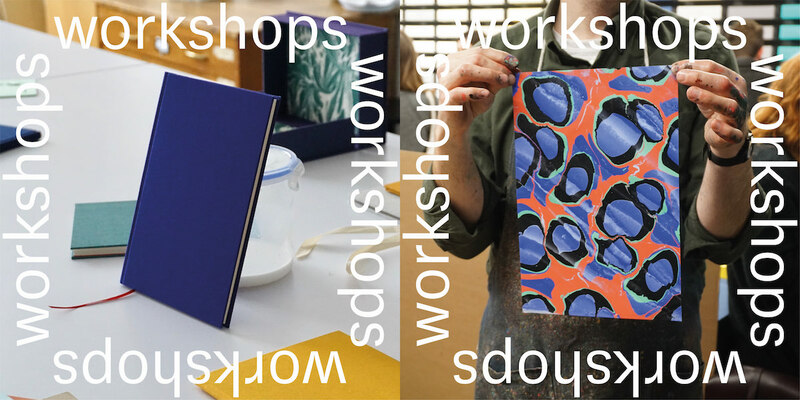 A perfect workshop for people with no prior experience to learn how to prepare work (using our growing collection of wood & metal type and image blocks) and print on a press from start to finish. Hope to see you! Join the community! We’ve got a special offer on Studio Passes until midnight next Friday. Studio Passes are a flexible way for artists, illustrators, designers, publishers, writers, makers & hobbyists to work independently on your own projects using the unique facilities at the London Centre for Book Arts. Due to popular demand, we just added another session of Introduction to Risograph Printing on Sunday 29 July. 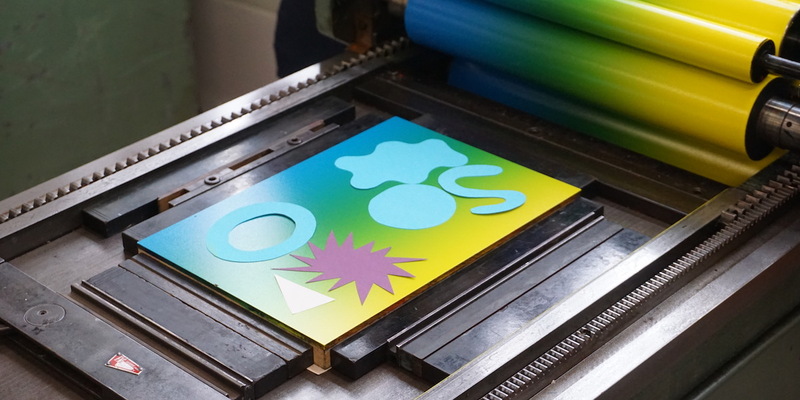 Learn the ins and out of the Riso machine so that you can work independently on your own projects upon completion of the workshop. We’ll be back at the Barbican in July as part of Make! Summer Workshops. 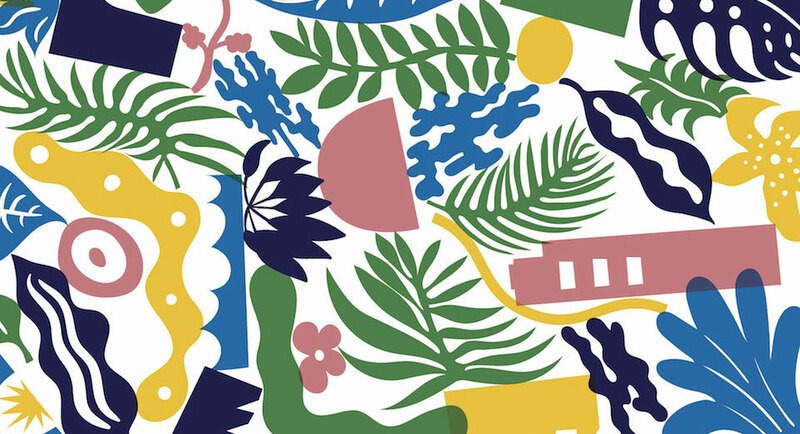 Artist Saskia Pomeroy has designed a patterned paper inspired by the Barbican’s iconic conservatory specially for the workshop. 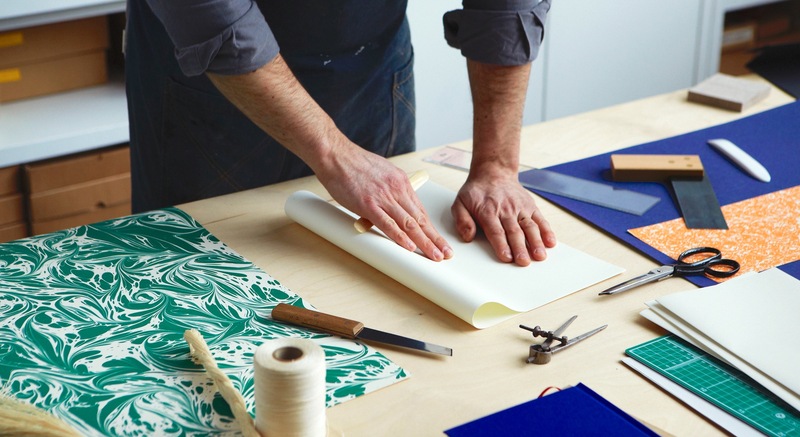 Learn how to make books by hand with Simon Goode, artist and co-author of Making Books: a guide to creating hand-crafted books by the London Centre for Book Arts. Find out more here & here. Don’t miss a special opportunity to take part in one of our popular workshops in South Kensington at the Royal Society of Sculptors on 21 June. A fun evening in a unique setting learning the craft of bookbinding with experts from LCBA. Join us at the London Centre for Book Arts on Friday 1st June for the second session of Library Study Group. This month’s discussion focuses on ‘Archiving’. 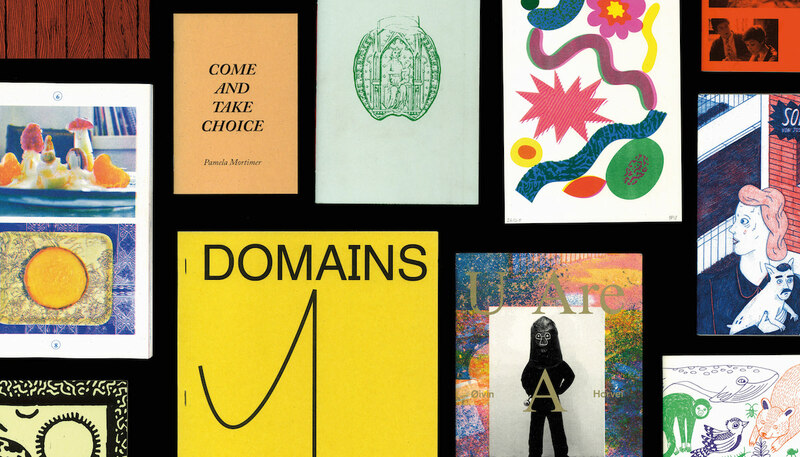 The study group is organised by studio members Esther McManus and Sam Whetton, and free & open to all interested in print, publishing and books.